Huff premiered at Aki Studio as part of Native Earth’s 2015 season. 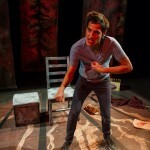 In 2016, Huff had an enormously successful nine-city national tour, followed by an international tour in 2017 to Australia and England, with an additional stop in Manitoba.Two-time winner and four-time nominee for the Dora Mavor Moore Awards, Native Earth’s production of Cliff Cardinal’s Huff is back in Toronto this October! Returning to the city this fall, Native Earth’s production of Huff was shown at Soulpepper Theatre from Oct 16 to 28 in partnership with former Artistic Director Ryan Cunningham’s Cunning Concepts & Creation. For more details. Click here for the full production history. Nominated for Quebec’s 2016 Critic’s Awards, Huff is the wrenching, yet darkly comic tale of Wind and his brothers, caught in a torrent of solvent abuse and struggling to cope with the death of their mother. Huff was developed, in part, through The Collaborations, an initiative of Canada’s National Arts Centre English Theatre. The development of Huff was also supported by VideoCabaret. 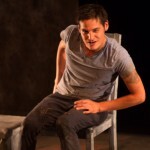 Cliff Cardinal’s first play Stitch debuted in SummerWorks 2011, winning Theatre Passe Muraille’s Emerging Artist Award. 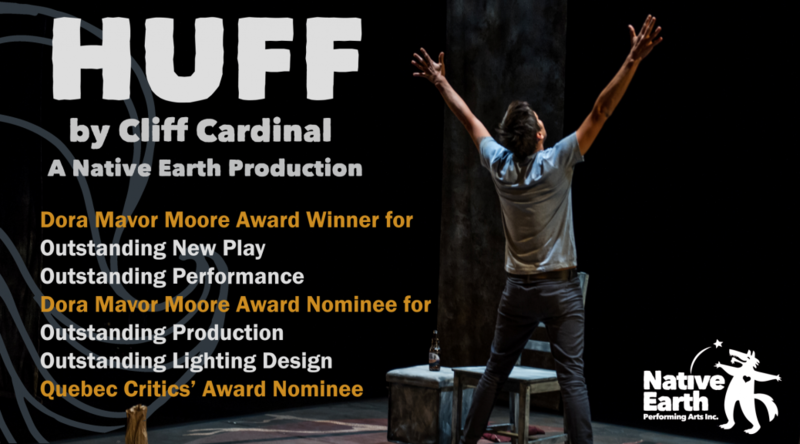 For Huff, he won the Buddies in Bad Times Vanguard Award for Risk and Innovation at SummerWorks and two Dora Mavor Moore awards in the Independent Category (Outstanding Performance – Male; Outstanding New Play.) Maria Gets A New Life, debuted at SummerWorks 2013. “This captivating tale of an off-grid mother solidifies Cardinal as one of the most talented and intriguing writers in the country.” –NOW Magazine. 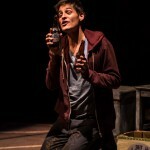 Cliff graduated from the playwriting program at the National Theatre School of Canada. His music project: Cliff Cardinal and The Skylarks recently released their debut album: This Is Not A Mistake.